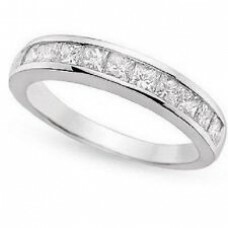 An eternity ring signifies that you are committed to your partner and will love them for eternity, just as you promised on your wedding day. 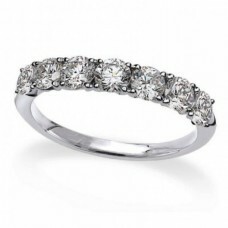 You may want a diamond eternity ring to complement the existing jewellery that they have or perhaps you are looking for a modern piece to bring their collection up to date. 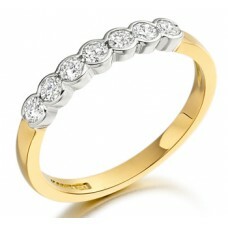 Whatever you are looking for, we have a number of diamond eternity rings that are sure to catch your eye. We also offer a service to create a unique and individual Ring with our in house bespoke design team, we will discuss, guide and offer informative advice on the design and production of your bespoke item. 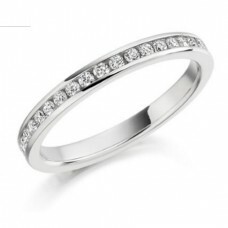 18ct White Gold 7 Stone Claw Set Diamond Eternity Ring Specification's ..
18ct White Gold Princess Cut Diamond Channel Set Half Eternity Ring Specif..
18ct Yellow Gold Diamond Set Half Eternity Ring Specification's Cut .. 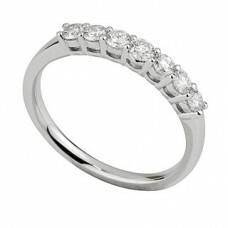 Platinum 7 Stone Claw Set Diamond Eternity Ring Specification's Cut ..